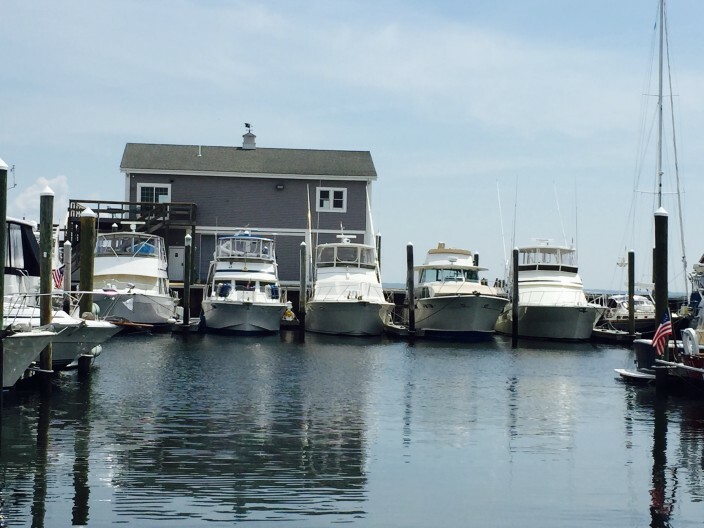 Enjoy the peaceful tranquility of The Marina at Rhode Island Mooring Services. Our marina facility offers amenities such as our own beach, courtesy bikes to enjoy the biking trails along the harbor and the freshest seafood right off our docks. 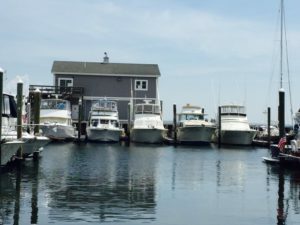 Our close proximity to Prudence Island, Rhode Island Sound, Narragansett Bay and Mount Hope Bay makes The Marina at Rhode Island Mooring Services the perfect place to stay for a night or for the season. Adjacent to a wildlife sanctuary, the atmosphere here is quiet and serene. Relax onboard your boat or enjoy a cookout at one of our tiki hut picnic areas or decks. Enjoy our new outdoor showers and library or take a walk along the beach and view the amazing sunsets. Whatever you choose to do, we are here to make your boating experience more enjoyable! 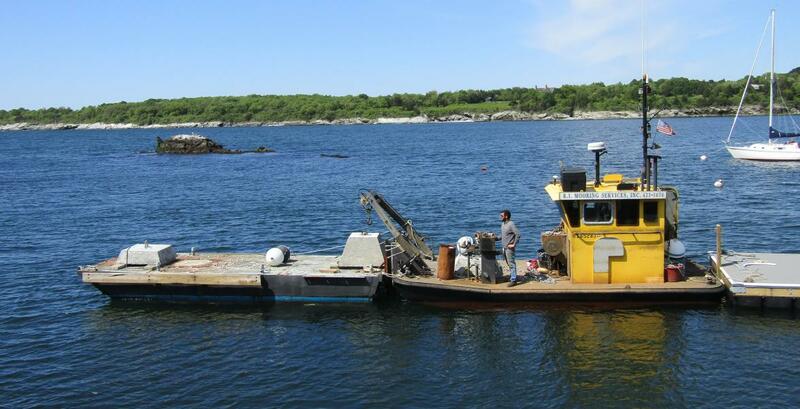 I have owned my Shannon 43′ ketch for 20 years and have kept it with Rhode Island Mooring Services since 2014. They exclusively have done all of the work on it including installation of solar and wind generators, new refrigeration, new electronics, as well as all normal commissioning. I have found them to be exceptionally competent in all respects. Their work product, ability to meet time lines, courtesy, professionalism, and knowledge are all exceptional. To me, the difference between most yards and exceptional yards is their ability to meet the changing needs of their customers in a practical and timely way. They treat the boats as they would their own boats. Yards of this quality are the exception and not the norm in their industry. Peter Flood, Owner "Flood Tide"
We are coming up on our 8th season at RI Moorings & Marina, and it is truly our home away from home. 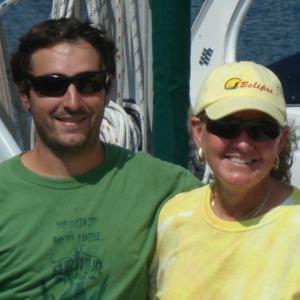 The marina and services are excellent, and we have made many friends there that are now our “family”. We love coming in with our boat and relaxing while overlooking the Bay – or simply staying on the boat for the weekend and enjoying the camaraderie and BBQ’ing with friends. Having a beach at our stern is a huge plus! Highly recommend it as Narragansett Bay’s “best kept secret”! 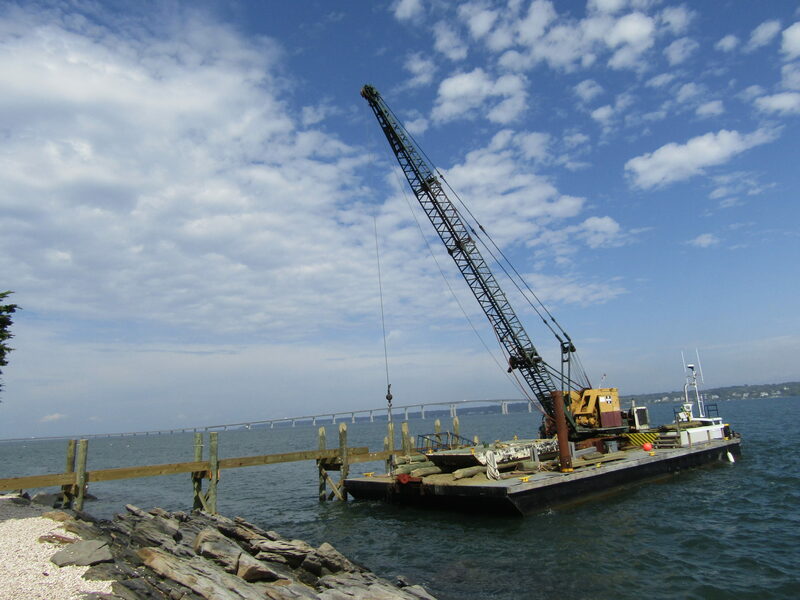 This marina is a professional operation with knowledgeable staff on hand. Compared to other Marines I’ve been to, this place is a hidden gem. Bathrooms are clean with hot showers. The tiki huts are a great place to hang with friends and enjoy the panaramic views of Narragansett Bay. Out door grills and fire pit make for a great dinning experience. All the patrons are fun to be around and they respect your privacy during overnight stays. Any serious boater would be hard pressed to find a better marina ln the west Bay area. 2018 will be our fourth summer at the Marina at RI Mooring. However we have been winter customers of RI Mooring since 1999. We have always been pleased with the professionalism and service of everyone in the organization top-down. Summer slip has been great. The facility is located at a convenient spot on the Bay for easy access to points both North and South, The restroom, showers, tiki huts, and grills, as well as the entire facility is always clean and well maintained. Each year subtle improvements are added such as outdoor showers, ice machine, and a parking plan for Customers and Visitors. Great views of sun and moon rises from the elevated decks. Libraries located in each restroom as well as access to the beach. The ownership/management do not rest on their laurels, even though we had been in a nearby marina and were familiar with the area, in our first season Theresa brought us a “Welcome Wagon Packet” that had detailed information of local services, restaurants, etc. Fellow Boat owners are friendly and there is a good social “vibe” at “The Marina”. Highly recommended. 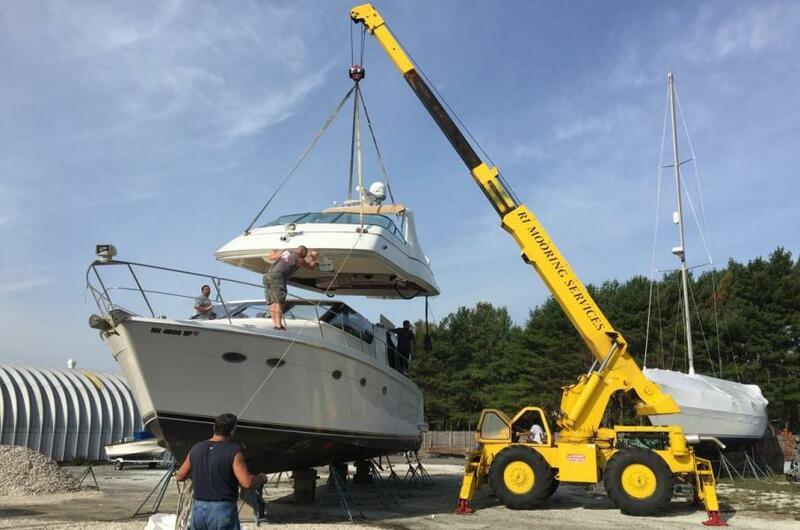 RI Mooring Services, established as a mooring company in 1985, is now one of Rhode Island’s premier Marinas and Marine Construction Contractors as well! We are looking forward to serving you.